HRM is the efficient management of employees working in any organization. It focuses on the function of utilizing employees within the organization, ensuring best work practices are in place at all times. The term HRM expands to Human Resource Management; it implies the implementation of management principles for efficient management of the employees of an organization. But when it comes to SHRM, it’s a way broader than the HRM. STRATEGIC HUMAN RESOURCE MANAGEMENT which is also called as SHRM means coordinating the HR principles along with the business plan of action to achieve the long term goals of the organization in a productive way. It is proactive in nature as it is based on aligning the strategies to the existing HR practices. It involves using approaches to bring innovation and strategies to achieve long term goals of company with existing human resources. In a human resource management, the division of labor, specialization can be found in the job design, whereas in strategic human resource management flexibility, cross-training and teams can be found in the job design. It helps in overall development of the organization by developing and array of skills and knowledge. When it comes to SHRM, it’s a way broader than the HRM. STRATEGIC HUMAN RESOURCE MANAGEMENT which is also called as SHRM means coordinating the HR principles along with the business plan of action to achieve the long term goals of the organization in a productive way. Hence When the employees work by formulating strategies, the business can achieve its goals more easily. Successful business managers realize the importance of well-trained and motivated employees to achieve the company’s financial goals. For any business to run smoothly, employees should be motivated in a way so that it can bring a shape to the investment. Only people can use all other resources to make up a process. Organizations need to achieve a fit between personnel policy choice and broader strategic considerations, particularly product market conditions and business strategy. Cultural Alignment: Aligning organizational culture with business strategy. Elevator Pitch: A very brief and concise presentation. Strategic staircase: “Sounds like a plan”. Chief Culture Officer: An emerging C-Suite role for the success of organizational transformation. HR Business Partner: HR business partners are HR professionals who work closely with an organization’s senior leaders in order to develop an HR agenda that closely supports the overall aims of the organization. 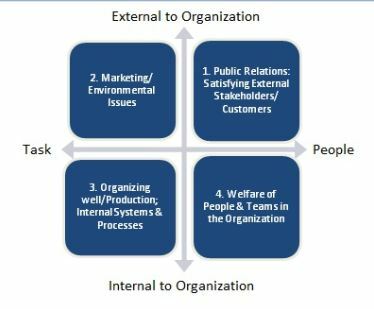 The process of alignment is known as HR business partnering and may involve the HR business partner sitting on the board of directors or working closely with the board of directors and C-suite. Helicopter view: A “big picture” perspective.